It’s hard to keep ahead of the news cycle with the new Trump administration, but a headline several weeks ago hit a topic that I have wanted to look into for some time—voter fraud. This week that topic is back in the news cycle. It is a topic that shows how easily groups can talk past each other, a troubling pattern in our highly partisan nation. Like so many issues, this is not just about voter fraud, but in large part it is also a study in public communication under severe stress. On January 25, Comcast carried an NBC News story headlined “President Donald Trump Says He Will Ask for ‘Major Investigation’ into Debunked Allegations of Voter Fraud.” Our own local paper headlined the story in a similar fashion, as did the majority of news sources I checked into that day. The reaction reached a fever pitch. As I was channel-surfing, one guest was nearly hysterical in his view that Trump was crazy thinking he could find 3-million dead people who voted! Both the Comcast article and the one in our local paper provided one brief paragraph that correctly linked that number to allegations of illegal voter registration, rather than fraud at the polling place, which is what the stories claimed had been debunked. The fixation on the 3 million number became another part of the problem, but that seems to be a characteristic of the new president’s mode of communication. There may be a kernel of truth somewhere in a Trump tweet or the first expansion by an aide, but it is overshadowed by the introductory bombast that leaves many of his supporters scratching their heads and his opponents with enough angst to completely miss any serious point worthy of consideration. Despite the contrary views and those who say the matter has been debunked, the issue of voter fraud is worth investigating. The issue has been clouded by ignoring the full realm of where the problem can occur —much of that misunderstanding purposefully created by factions representing opposing viewpoints. The term “debunked” is itself a problem when it is used to signify that a matter is settled, leaving no reason to challenge it or conduct further research. It’s use appears to be part of what one commentator called “agitation” journalism. Most presidents have held the press at a distance, some in distain, but Donald Trump has escalated his dislike into open warfare. Trump punches. The press punches back. Unfortunately, what is important to the public understanding of things that matter to America’s civic life can easily get lost in the fireworks. 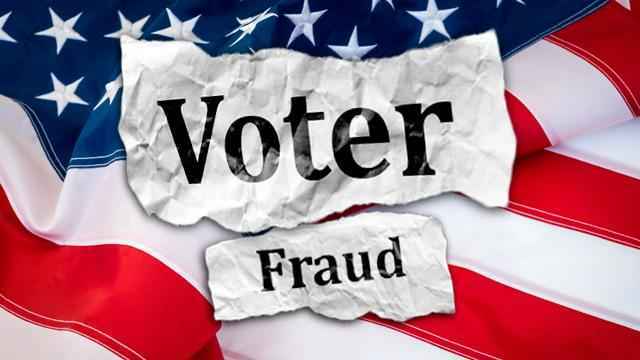 While I disagree with the use of the term “debunking” in relation to voter fraud as it has been reported, I do agree that numerous scholars, journalists and other researchers have over the past two decades or more have found that fraud at the polling place is rare and minimal, a vast improvement over periods in the past when fraud at the polls was legendary. That includes Chicago, where I grew up in the time when Mayor Richard J. Daley’s powerful political machine was accused of all sorts of shenanigans related to elections, including claims that he helped ensure the election of John F. Kennedy. (Similar claims of political collusion have been levelled in other close elections, including the infamous “hanging chads” and multiple recounts in Florida that tipped the 2000 election in favor of George W. Bush). Changes in technology and election laws, along with public scrutiny through the Internet, have made misconduct at the polling place much more difficult in recent years, especially for general elections. However, to say that voter fraud has been “debunked” could actually reduce future vigilance. Even if things have improved markedly at the polling place, I would argue that given human nature and the tremendous temptations to use the power of the political realm, the integrity of the entire election process is something that needs constant scrutiny. As in other areas of life, every attempt to contain a problem in one area leads to new ways to beat the system—a cycle that can never be assumed to close. Here’s the problem as I see it for the current concern about fraud: it is more likely to occur in the registration process than at the polling place. You may be illegal, but once registered, you are considered a qualified voter at the polling place. So, let’s look at voting requirements in the United States for general elections (those that include federal offices). The requirements to get a passport require proof of citizenship and residency, no matter what state you are in. Obtaining status as a Permanent Legal Resident (PLR) and then becoming a naturalized citizen, eligible to vote, is a much lengthier and even more demanding process. On the other hand, the process to register to vote, while it varies by state, sets the bar much lower. The relative ease of voter registration is based on a number of factors, including the idea that the right to vote should not be impeded by a burdensome registration process, and the practical matter of scale and state resources to verify citizenship. Driver's license number or State identification card number. A copy of a current utility bill, bank statement, paycheck, government check, or other government document that shows your name and address will be required. College or university photo ID accompanied by copy of contract/lease of residence or postmarked mail delivered to his/her current residence. Your word is your bond, and you are committing perjury if you claim to be eligible to register when you are not, with potentially severe consequences. Yet, since the registration process is handled at the county level in many states, election officials often don’t have the resources to verify the truthfulness of all the information on the application. They must trust the signed application. But, there is a battle over the right to vote. Using arguments for inclusiveness and open borders, there are those who want to stretch the concept of citizenship and the right to vote beyond the existing legal framework upon which voter registration requirements are based. That would require changes in the law or, as some would hope, broader interpretation of the term “citizen” by sympathetic courts. There are numerous websites that help people find out the voter requirements for their state. Most are legitimate, simply cataloging the information that a person could also obtain from their state’s election website. I have always been a proponent of making information available in multiple formats and locations to reach the most people (and often to present the same information in different ways to fit individual learning styles, i.e., narrative, bullet points, graphics). The current debate about voter fraud—and President Trump’s call for Vice President Pence to head a commission to study the issue—is fueled by a claim that as many as 3-million illegally registered voters cast votes in the 2016 general election. A lot of the controversy surrounds the number 3-million, which not-so-mysteriously correlates very closely with the popular vote margin that favored Hillary Clinton (2.8-million votes out of the total of 128.8 million votes cast for president). The implication from the Trump camp has been that the 3-million fraudulent registrants can be found among “undocumented immigrants.” Is that even possible? If there are 11.2-million undocumented people in the U.S. (a widely held and fairly stable number since 2009) and about 1.1-million of them are minors, that would mean that 30% of undocumented immigrants of voting age would have to have been registered to vote, or 2.3% of the total votes cast. NOTE: The term “undocumented immigrants” has come to be widely understood as people illegally entering the United States, primarily across the Mexican border in the Southwest. In fact, up to 40% of that group of non-citizens may be people who entered on legal visas that are now expired. While most undocumented non-citizens may live in fear of deportation, could not some who have “gotten away with it” for years consider registering to vote, either as a relatively safe option or even being convinced it is their right to do so? North’s analysis estimated 650,000 people in the U.S. in 2009 under the H-1B program for high-tech foreign workers. He also quoted numbers that placed naturalized citizens at 15.5 million (Census Bureau), Legal Permanent Residents (green card holders) at 12.5 million (DHS) and illegal aliens at 10.8 million (also DHS). Of these, naturalized citizens are eligible to vote, the others are not. In a report for 2011, the latest full year available, DHS reported 13.0 million Legal Permanent Residents, 8.5 million of them eligible for naturalization. There have been arguments for many years to allow some LPRs to vote, especially in state and local elections, and when the immigrant is on a path to citizenship. That would still technically exclude most of them from presidential elections, though the ability to discrimate between types of elections is dependent on the management of the local election authorities. So, let's put all of this into perspective. If the roughly 13 million LPRs are added to 10 million or so undocumented immigrants of voting age, 3 million from that 23 million now drops to 13% of non-citizens who voted, still a very large number, even if scattered across the country. Nonetheless, even if the proportion dropped to 2%, there would still be half-a-million people illegally registered. Would not that still be a concern? Each of these votes, no matter the number, can impact an election just as seriously as voter suppression and improper counting of ballots by legal voters. The fact remains that undocumented immigrants and LPRs cannot legally register to vote. Doing so does constitute voter fraud, with severe consequences (if caught and prosecuted, which raises its own questions, including whether there is a greater potential in "sanctuary" areas for unqualified people to be encouraged to vote). Using the 3 million number without solid evidence only obscures the basic question, which is whether illegal registration (and then acting on it by “legally” voting) is happening in large enough numbers to be a problem that must be addressed. However, I fear that having a presidential commisisno look into the matter only adds fuel to the fire. Let other researchers who do not have a stake in the outcome expand their research to include the full breadth of the issue, from voter recruitment and registration to the casting and counting of ballots. Rather than dismissing concerns by saying the charges of fraud have been debunked, we must admit the desire to win can be so strong that the potential for fraud should never be dismissed. We must, therefore, remain vigilant at all times and by all means to protect the rights of all of those who are legally qualified to vote and guard against those who would trample on that right through fraudulent claims to it. See “Dems show illegal immigrants which States they can vote in” on Whiteout Press, October 31, 2014. The site claims to be “Independent News at its Best—if it’s blacked-out, covered-up or censored, you can find it here!” For wider opinions on the subject, do a search on “Cesar Chavez encourages undocumented to vote,” where this post appeared at the top of the results. A search on “encouraging undocumented to vote” reveals many entries attacking President Obama’s statement, others attacking the attackers, still others clarifying what the President said. It is an example of the danger of sound bites and should provide a cautionary perspective for each side. Sadly, in this divisive climate, grace hardly ever applies, so the sound bite (or tweet) becomes ammunition for an attack. Not just talking past each other, but throwing daggers in the process!